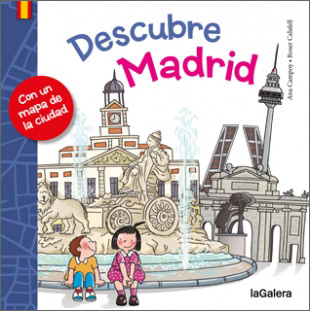 A story-guide in Spanish that introduces the city of Madrid, seen from a child's perspective. The Retiro Park, the Cibeles, the Plaza Mayor ... there are so many places to go! At the back of the book is a fold-out map of Madrid. Descubre Madrid is written entirely in Spanish as it is aimed at native Spanish speakers. It is written in caligraphic writing and is published in Spain so uses Castilian (European) Spanish. It is a good introduction to Spanish culture.